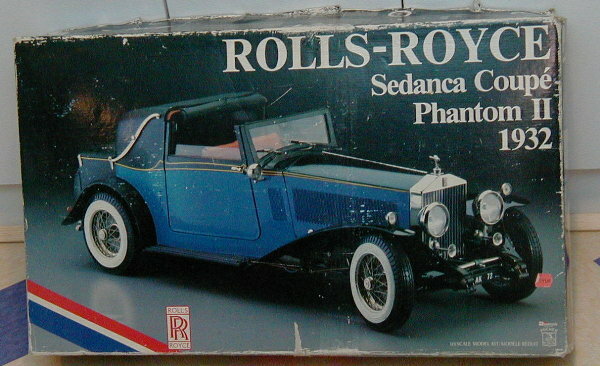 Pocher K72 Rolls Royce Sedanca 1/8 scale model kit! There are at least three editions of the Pocher K72 Rolls Royce Sedanca. The first one has the drawing of the car on a white background. This is the most common kit one can find of this incredible model. The second edition has a picture of the car on a black box, and the third edition we know of has a drawing of the car in front of Buckingham Palace. Please ask for details of the specific model we have in stock as we continuously buy and sell this model.